Fred Schnider Investment Group has honed its process for executing real estate investments through all phases of an opportunity, from initial analysis through final disposition of the asset. This process and its investment model enhances returns for ownership and creates positive outcomes for those who live and work in the communities in which we invest. Having completed billions of dollars in real estate transactions across broad sectors of the real estate market, Fred Schnider has extensive capabilities in all phases of real estate ownership, and currently sees abundant opportunities through its network of sponsor development partners. One of the unique characteristics of working with or investing with Fred Schnider is that we have numerous relationships with the development community. We do not partner in a typical private equity arrangement, but truly align with our sponsor partners as co-sponsors, bringing to that relationship a combination of: capital, capital market relationships with lenders and institutional investors, strong engineering, property management and accounting “back of the house” capability, sales and marketing through our affiliate, Smith | Schnider, financial analysis, legal transactional experience, and construction management expertise. First, we deconstruct the financial projections and analysis, then reconstruct the data in our own model for that particular type of investment. We also study other aspects of a project’s feasibility, including: product type, title and entitlements. The model is then analyzed to determine whether all the line items conform to Fred Schnider’s expectations. Opportunities to enhance the performance of the project. Internal strategies for the project, as well as initiatives to enhance the surrounding community. Ownership structure will be established whereby the company participates in major decisions at all phases of the development. 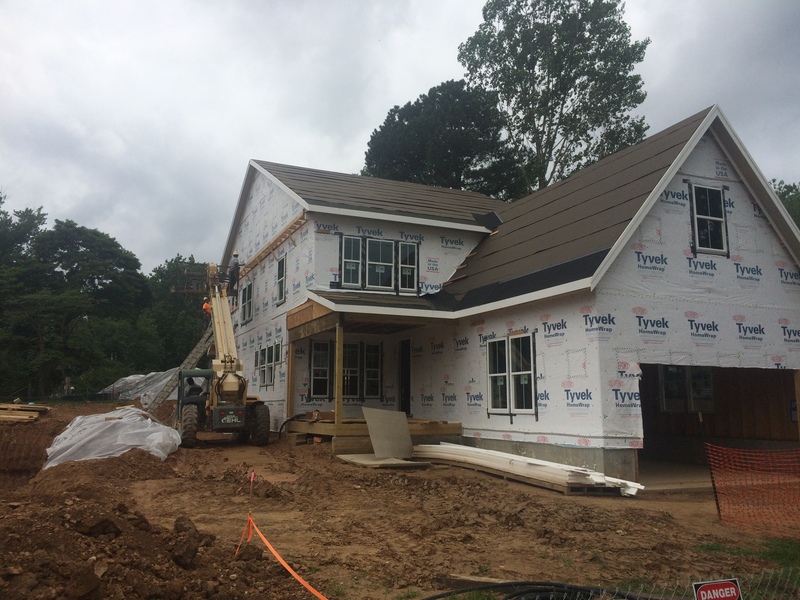 Budgets and development/construction milestone schedules are developed for the project. Investment in the project then may be offered to partners with whom Fred Schnider invests. Meticulous reporting is established between the partnership and Fred Schnider, and reviewed on a monthly basis. The property is inspected and project meetings are held on a bi-weekly or monthly basis, and reports are made to the ownership. We are currently establishing an online platform for all owners and investors in our projects to obtain reports and financial data on investments, access historical information on projects the company has completed and view what the company has in its pipeline. 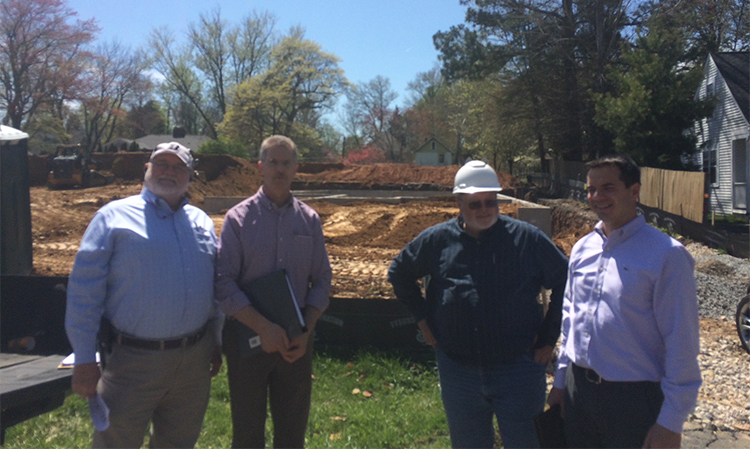 Pictured is Fred Schnider construction inspector, Bob Mahoney, with members of Madison Homes at the site of Fred Schnider and Madison’s co-sponsored venture, an enclave of four luxury homes in McLean, Virginia on Spring Vale Road. Bob is inspecting recently poured foundations and waterproofing details. Back at the site only a few weeks later, one of the homes has been sold and the team is conducting a walk-through of the first two homes under construction prior to the walls being closed in. Fred Schnider founded our company in 1940. He put his name on it because he believed that it wasn't worth anything unless you stood behind it. We're proud to carry on his legacy.